Strong regenerated gratings with a maximum grating strength exceeding (40-50) dB are fabricated inside an optical fibre by bulk macro thermal processing ~900°C using a UV-laser seeded Bragg grating. Further annealing between 1000 and 1100°C leads to a stabilised grating ~18dB in strength. This suffers no further degradation at 1100°C for the period monitored, over 4 hrs. The potential resolution of this process is demonstrated by regenerating two complex profiles. Phase information is retained between seed and regenerated structures. This opens the way for nano-engineering of materials using thermal processing and seed templates. R. J. Schroeder, T. Yamate, and E. Udd, "High pressure and temper- ature sensing for the oil industry using fibre Bragg ratings written into side hole single mode fibre" Proc. SPIE 3746, 42-45 (1999). A. D. Kersey, "Optical fiber sensors for permanent downwell mon- itoring in the oil and gas industry" IEICE T. Electron. 83, 400-404 (2000). J. C. Cardozo da Silva, C. Martelli, H. J. Kalinowski, E. Penner, J. Can- ning, and N. Groothoff, "Dynamic analysis and temperature mea- surements of concrete cantilever beam using fibre Bragg gratings" Opt. Laser Eng. 45, 88-92 (2007). Y. Shen, J. He, Y. Qiu, W. Zhao, S. Chen, T. Sun, and K. T. Grat- tan, "Thermal decay characteristics of strong fiber Bragg gratings showing high temperature sustainability" J. Opt. Soc. Am. B 24, 430-438 (2007). O. V. Butov, E. M. Dianov, and K. M. Golant, "Nitrogen-doped silica core fibres for Bragg grating sensors operating at elevated tem- peratures" Meas. Sci. Technol. 17, 975-979 (2006). M. Aslund, and J. Canning, "Annealing properties of gratings writ- ten into UV-presensitized hydrogen-out diffused optical fiber" Opt. Lett. 25, 692-694 (2000). J. Canning, K. Sommer, and M. Englund, "Fibre gratings for high temperature sensor applications" Meas. Sci. Technol. 12, 824-828 (2001). W. X. Xie, P. Niay, P. Bernage, M. Douay, J. F. Bayon, T. Georges, M. Monerie, and B. Poumellec, "Experimental evidence of two types of photorefractive effects occurring during photo inscrip- tions of Bragg gratings within germanosilicate fibers" Opt. Com- mun. 104, 185-195 (1993). L. Dong, W. F. Liu, and L. Reekie, "Negative index gratings formed by 193 nm laser" Opt. Lett. 21, 2032-2034 (1996). N. Groothoff, and J. Canning, "Enhanced type IIA gratings for high- temperature operation" Opt. Lett. 29, 2360-2362 (2004). J. L. Archambault, L. Reekie, and P. St. Russell, "100% reflectivity Bragg reflectors produced in optical fibres by single excimer laser pulses" Electron. Lett. 29, 453-455 (1993). P. Hill, G. R. Atkins, J. Canning, G. Cox, and M. G. Sceats, "Writ- ing and visualisation of low threshold type II Bragg gratings in stressed optical fibres" Appl. Opt. 33, 7689-7694 (1995). D. Grobnic, C. W. Smelser, S. J. Mihailov, and R. B. Walker, "Long term thermal stability tests at 1000 _C of silica fibre Bragg gratings made with ultrafast laser radiation" Meas. Sci. Technol. 17, 1009- 1013 (2006). J. Canning, "Fibre gratings and devices for sensors and lasers" Laser Photonics Rev. 2, 275-289 (2008). M. Fokine, "Formation of thermally stable chemical composition gratings in optical fibers" J. Opt. Soc. Am. B 19, 1759-1765 (2002). S.Trpkovski,D.J.Kitcher,G.W.Baxter,S.F.Collins,andS.A.Wade, "High temperature-resistant chemical composition gratings in Er3+-doped optical fiber" Opt. Lett. 30, 607-609 (2005). B. Zhang, and M. Kahriziet, "High temperature resistance fiber Bragg grating temperature sensor fabrication" IEEE Sens. J. 7, 586- 590 (2007). S. Bandyopadhyay, J. Canning, M. Stevenson, and K. Cook, "Ultrahigh-temperature regenerated gratings in boron-codoped germanosilicate optical fiber using 193 nm" Opt. Lett. 33, 1917- 1919 (2008). J. Canning, M. Stevenson, S. Bandyopadhyay, and K. Cook, "Ex- treme silica optical fibre gratings" Sensors 8, 6448-6452 (2008). E. Linder, C. Chojetski, S. Brueckner, M. Becker, M. Rothhardt, and H. Bartelt, "Thermal regeneration of fibre Bragg gratings in photosensitive fibres" Opt. Express 17, 12523-12531 (2009). K. W. Raine, R. Feced, S. E. Kanellopoulos, and V. A. Han- derek, "Measurement of axial stress at high spatial resolution in ultraviolet-exposed fibers" Appl. Opt. 38, 1086-1095 (1999). J. Bao, X. Zhang, K. Chen, and W. Zhou, "Spectra of dual overwrit- ten Bragg grating" Opt. Commun. 188, 31-39 (2001). M. Ibsen, M. K. Durkin, and R. I. Laming, "Chirped Moiré fiber gratings operating on two wavelength channels for use as dual- channel dispersion compensators" IEEE Photonic. Tech. Lett. 10, 84-86 (1998). 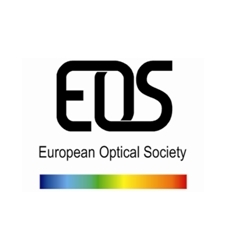 Journal of the European Optical Society:Rapid publications - ISSN 1990-2573. JEOS:RP is subject to the EOS General Terms and Conditions.